Do you want to experience more meaning and purpose? Are you longing to make more sense of your life and the world around you? Our habitual and self-sabotaging ways of thinking and emotional reacting act as blinders that limit our view of life. When we become aware of those blinders, we can choose to remove them. And this opens us to brand new possibilities. Our daily Smart Question spiritual development emails will help you connect with more joy, love, beauty, abundance, contribution and meaning. They'll help you open to the bigger picture of who you are. And tese emails will support you in shifting and anchoring your higher perspectives. Find meaning and fulfillment in even the most ordinary places. Begin to tune into your essence and uncover your passion for life. Explore higher perspectives with 12 weeks of Smart Questions. 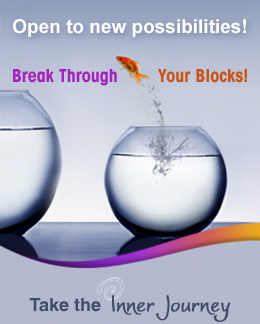 Receive 60 emails over 90 days to support you in opening to your authentic self. understand and bridge the dualities of life - the positives and negatives, the higher road and the lower road. grasp perspectives to support you in living a more happy, peaceful, harmonious and meaningful life. explore ways to heal the past, live in the power of the moment and raise your consciousness to make the most of your future. see a bigger picture of how spirituality and day-to-day life work together. ground spirituality in your everyday living. know yourself as both personality and soul. Allow these Spiritual Question emails to help you open to higher perspectives of living today. "When we acknowledge that all of life is sacred and that each act is an act of choice and therefore sacred, then life is a sacred dance lived consciously each moment." Receive 60 Smart Question spiritual development emails over 12 weeks to clarify and connect you with your own spirituality. Open up to universal principles and higher aspects of yourself. Every message offers inspiration, a quote, tips, a Smart Question and extra support to bring more to your life. 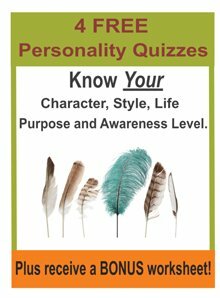 Become a member of Higher Awareness and you will receive your Spiritual Questions Email Series - Ground spirituality in your everyday living and help awaken you to your authentic self. Practice daily spiritual living. Connect with your own divinity. Explore your life purpose. Progressively tap expand the bigger picture of who you are. Receive 90 days of daily smart questions and tips to shift your consciousness. Order now through our secure server to get instant access to our Spiritual Questions email series -- great questions daily to develop your intuition and a bigger understanding of life. Confidently move forward on what matters most to you. No matter where you are in your life, we have the right questions for you.